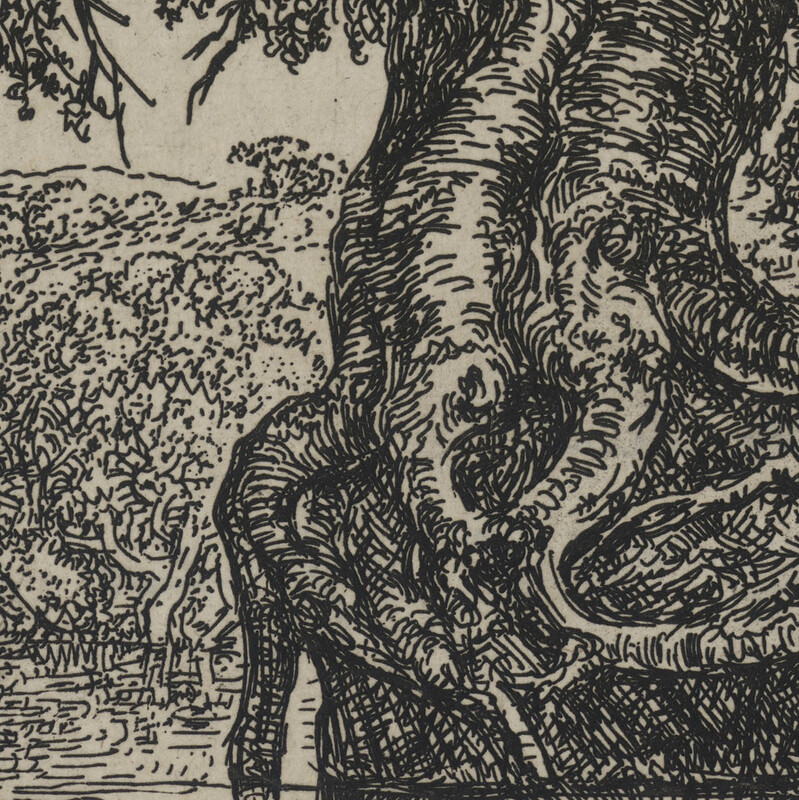 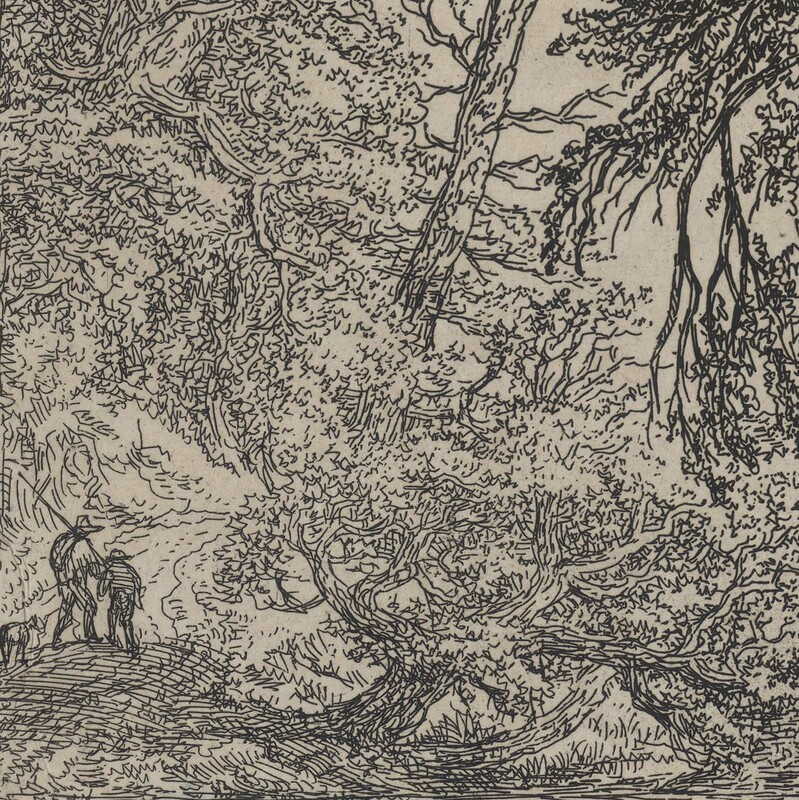 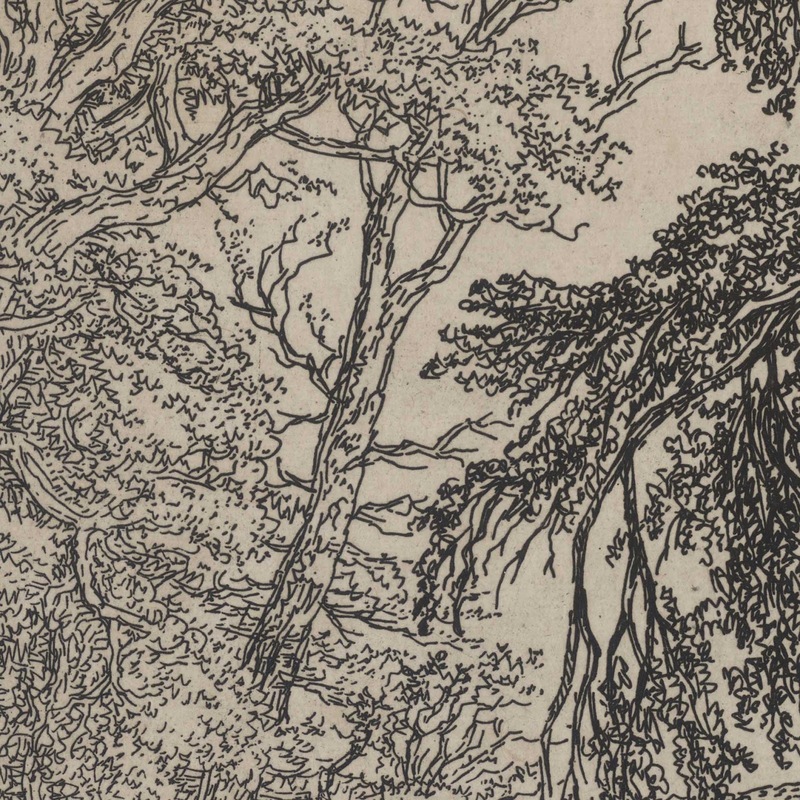 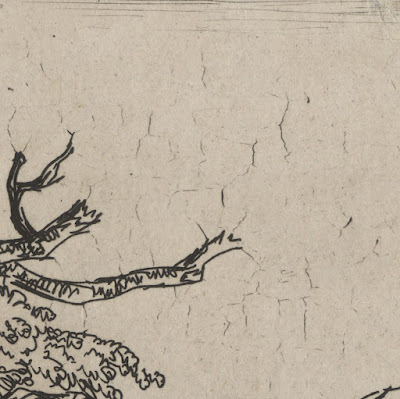 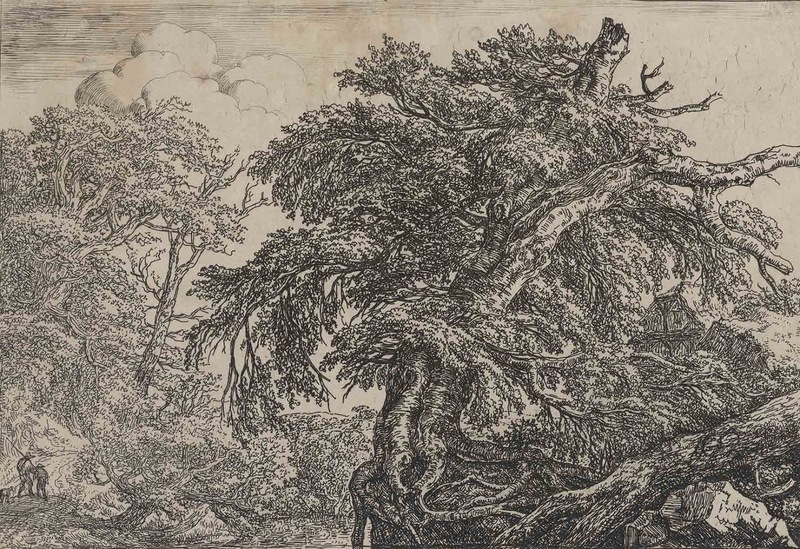 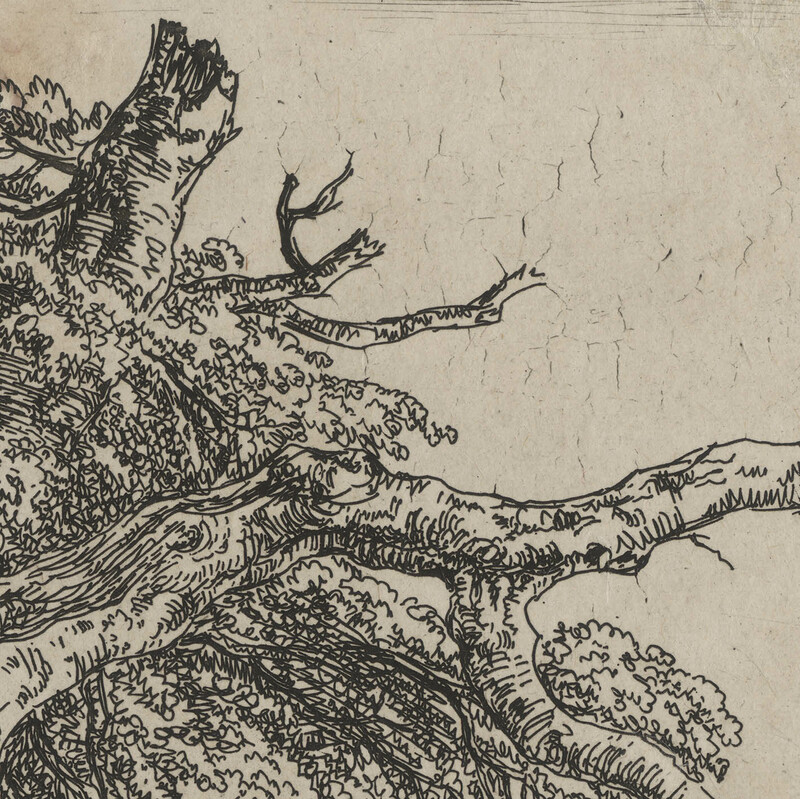 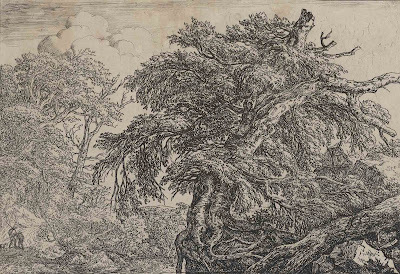 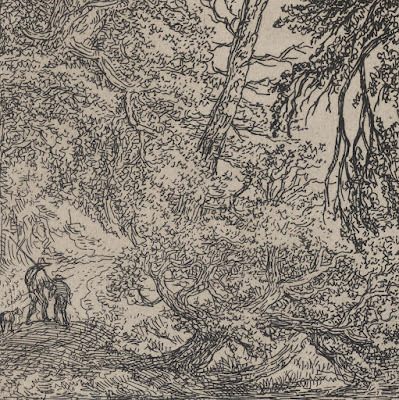 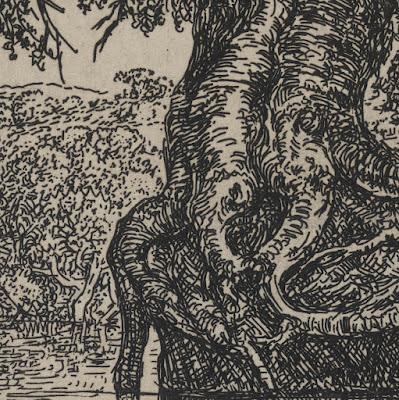 “The Great Beech with Two Men and a Dog” (aka “The Wooded Landscape with a Great Tree”), c1650, from the series of four etchings of similar format and dimensions, from McCreery’s 1816 edition of “200 Etchings” pulled from the original plates. 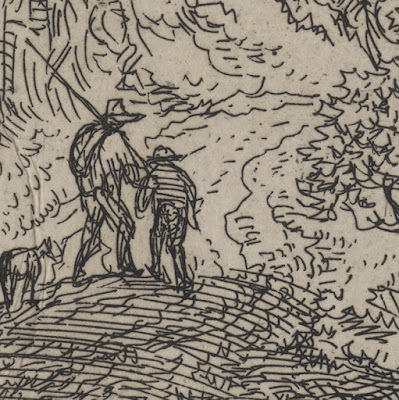 Etching on fine wove paper trimmed on or within the platemark (as published by McCreery) and lined onto a conservator’s support sheet. Size: (sheet) 19.5 x 28 cm; (image borderline) 18.6 x 27.4 cm. 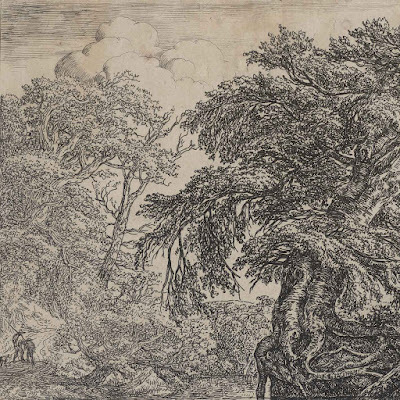 Inscribed on plate below the image borderline: (centre) "JVRuisdael f."
“… stiff, puffy cumulus clouds and parallel shading were added to the sky, crowding the space of the landscape and diminishing the sense of light and atmosphere. 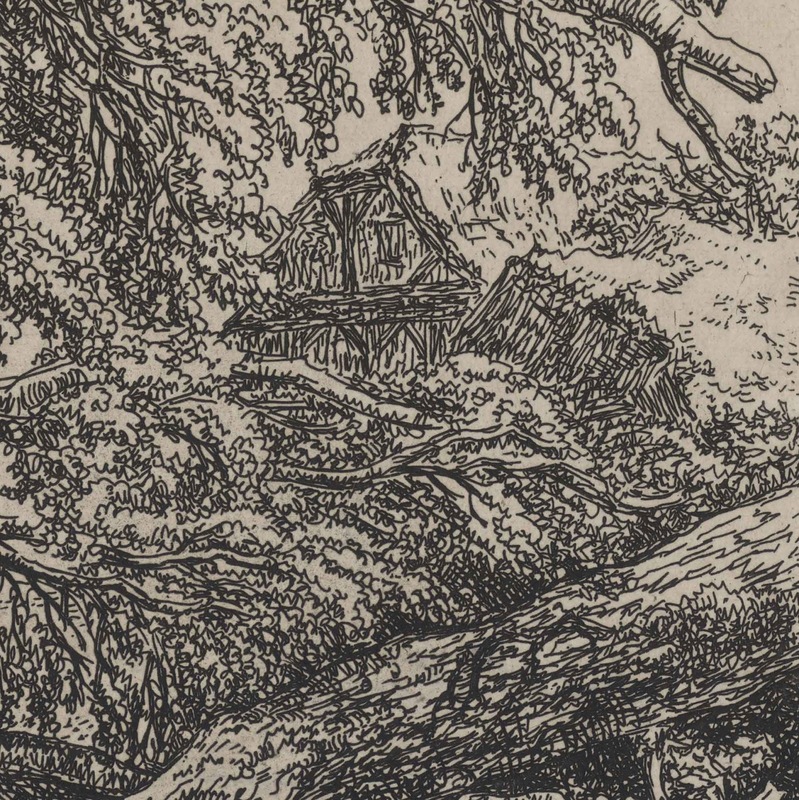 The clouds resemble those in some of the latter landscape painting of Ruisdael but are clumsily executed” (p. 227). 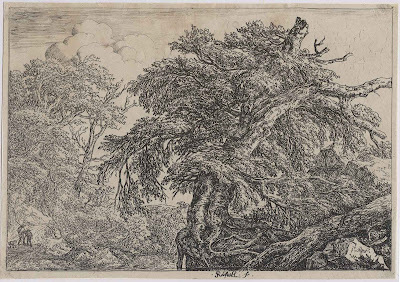 Needless, to say, these additions are not by the hand of Ruisdael and are probably by his son who wished to “improve” his father’s plate. 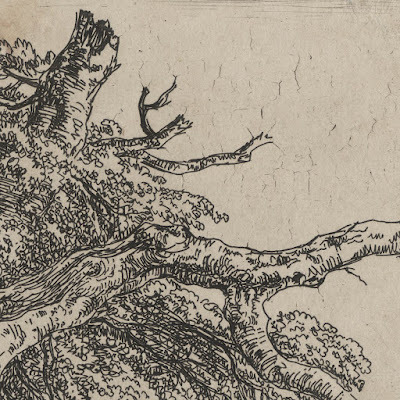 Regarding the wriggly lines in the sky at the top right, these are not by Ruisdael’s son. 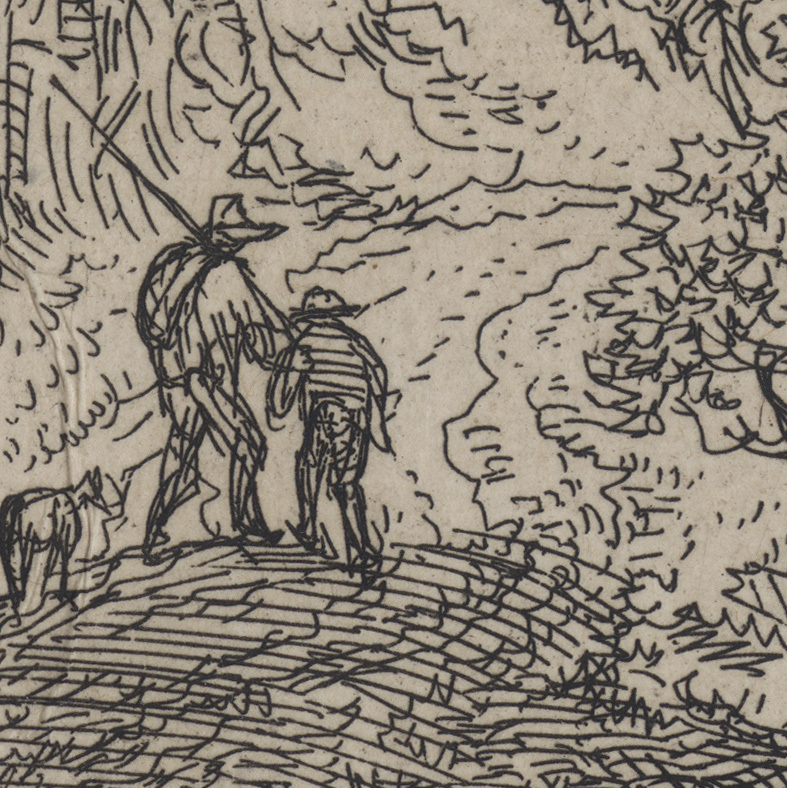 Instead, they are accidents—arguably serendipitous—resulting from craquelure breaks in the etching ground. 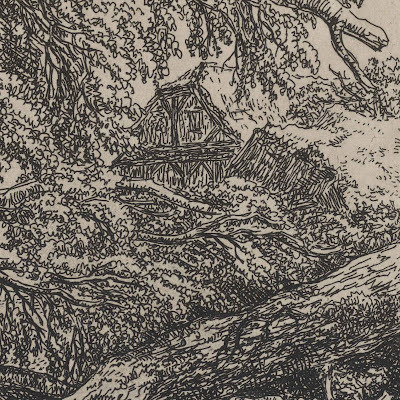 This fault is not uncommon and De Groot (1979) points out that this issue also occurs in Rembrandt’s “The Little Stink Mill”—a windmill (see Slive , p. 604). Condition: crisp, richly inked and well-printed impression slightly tanned with age toning and there is a little unevenness to the colour (water staining?) towards the upper edge. 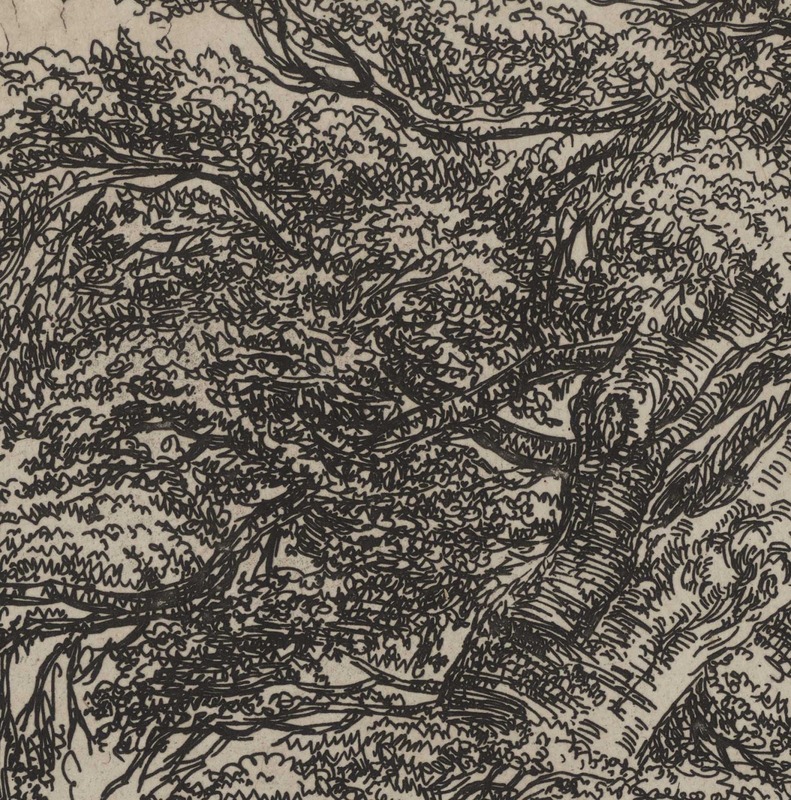 There are small tears and thin areas along the upper edge but these issues have been addressed by the sheet having been laid onto a conservator’s support sheet. I am selling this very beautiful impression of one of Ruisdael’s most celebrated etchings for AU$400 in total (currently US$283.57/EUR250.82/GBP214.54 at the time of posting this print) including postage and handling to anywhere in the world (but not, of course, any import duties/taxes imposed by some countries). If you are interested in purchasing this important masterwork by the almost legendary old master, Jacob van Ruisdael, please contact me (oz_jim@printsandprinciples.com) and I will send you a PayPal invoice to make the payment easy.